Mountain Air Cargo, Inc is an express cargo carrier, in operation since 1975, providing flight and maintenance services throughout the eastern and central US, Canada, and Caribbean Islands. MAC operates more than 50 aircraft flying over 100 flights per day, carries 5 to 6 million pounds of cargo per month, and has pilots and mechanics based in 35 cities. Paul has been flying with MAC since 1990 and helped the company transition to electronic flight bags in 2014. With the iPad and ForeFlight, we have moved from a completely paper cockpit to a mostly electronic cockpit. Before ForeFlight, each pilot carried two 2" binders and enroute charts. Our Part 135 pilots also carried WAC or Sectional charts for the area they would normally fly or for locations where they could potentially fly. In addition, our pilots were required to carry the ATR Pilot Handbook (a very large manual), Operations Specifications manuals, spare checklists, and flashlights. All of these manuals are now contained within ForeFlight Documents, along with the majority of the paper manuals that were housed on the aircraft. 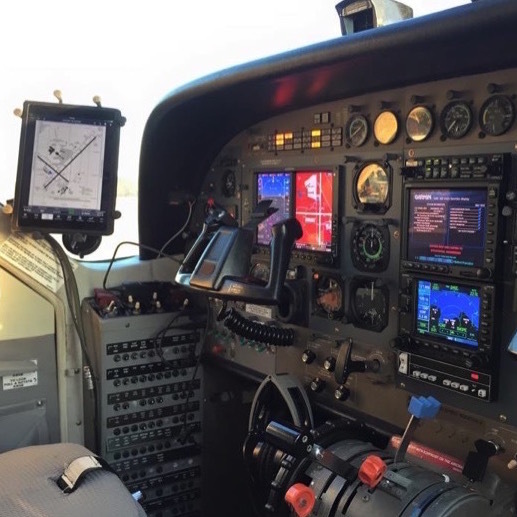 After switching to ForeFlight, our pilots carry one iPad when flying 121 and two iPads when flying 135 (plus the flashlight!). We no longer receive calls from our FAA POI informing us that manuals or charts are out of date. Every pilot always has the most current information. GOING PAPERLESS REMOVED 75-80 POUNDS PER ATR AND 25-30 POUNDS FOR EACH 208. 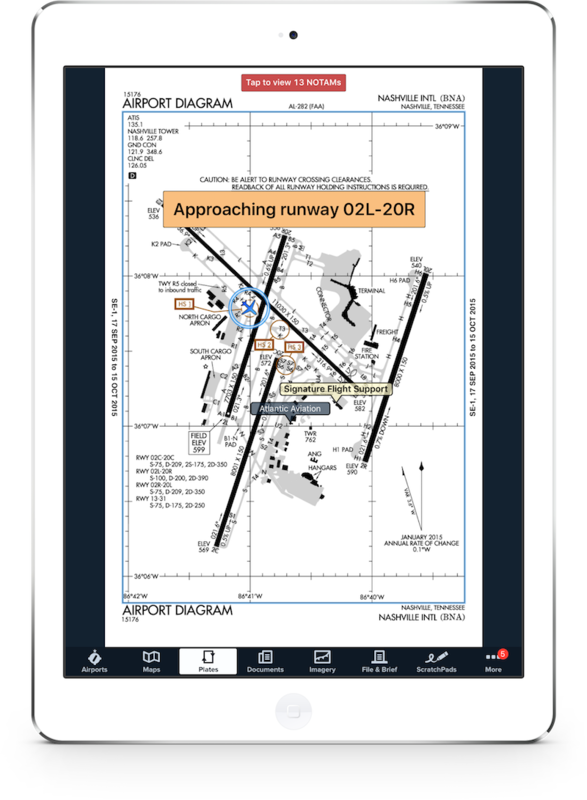 Our FAA POI is very pleased with ForeFlight and very impressed with the capabilities of an iPad application. We started researching the EFB project in January 2014, but we didn't officially start until the summer of 2014. With our new president, Rob Norton, in place the decision was made to start the iPad program in earnest. At that point, iPads were purchased, Ram mounts were ordered and Stratus 2 systems were ordered for our ATR fleet of 16 aircraft. We had the full support of our FAA POI and our 6-month trial began in August of 2014. We completed the trial a couple weeks ahead of schedule in February of 2015. We received our permanent OpSpec at that time. Having a very good working relationship with our FAA CMT made for a smoother process. We updated our POI on a regular basis and worked as a team to complete the whole process. In addition our FAA POI finds that using the own-ship position on the ground is invaluable for avoiding Runway Incursions. Both our ATR and C-208 fleets are using the own-ship position. We have found that our C-208 aircraft are obtaining 5-meter accuracy using the internal GPS of the iPad, and our ATR aircraft are obtaining 1-meter accuracy with the Stratus.